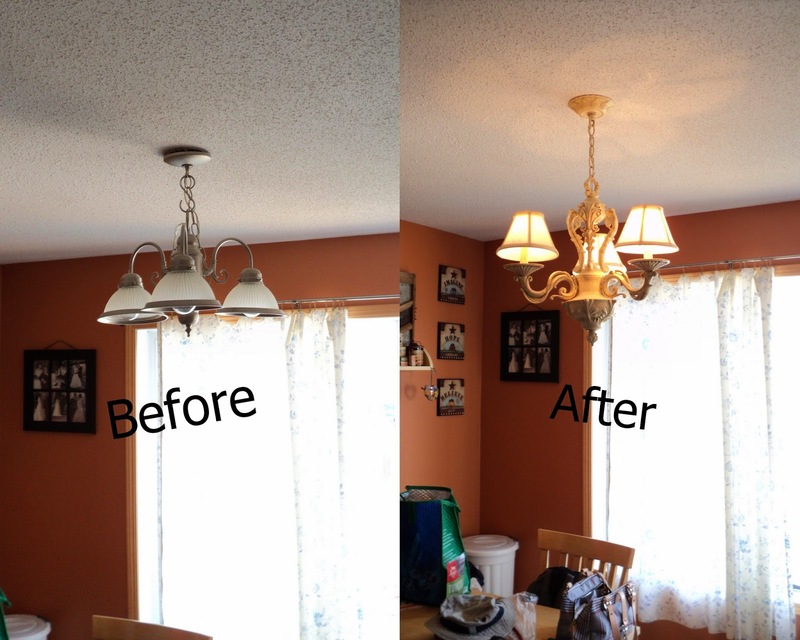 Don't be scared to hang your own new lighting fixture! 1. Breaker off - No getting shocked! Turn your fixture ON first then flip the breaker - when you come back and your fixture is off - you know you did it correctly - no chance of getting zapped. 2. This little nut just turns off so you can let the little cover fall down the chain of the fixture. 3. Pull the wiring out so you can access it. 4. Those little plastic ends are called Marettes - Just unscrew them and the wires can be separated. 5. Now, see the little silver metal piece with the 2 screws in either side. You can now unscrew these. If your light fixture is heavy, you might need help at this point. Mine was cheap and light so I had no problem. 6. My new fixture was A LOT heavier but I still managed to do it myself. Quickly screwed the silver metal slat that was attached to my new fixture into the screw holes. I didn't care that one side sat on top of the ceiling drywall, the cover piece will hide all the mess. 7. Re-attach the wires - 2 wires from the ceiling, one black and one white. Twist the black one with ONE of the Fixture wires. Twist the other ceiling wire with the other Fixture wires. There is a 3rd wire coming out of the ceiling that is a 'ground' wire, this got looped through the green coloured screw on the silver rectangular piece. Remember ground=green - The ground wire is an additional path for electrical current to return safely to ground without danger to anyone in the event of a short circuit. In that instant, the short would cause the current to flow through the ground wire, causing a fuse to blow or a circuit breaker to trip. 8. Replace the cover and screw the nut back against the cover to hold it in place. Hubby went down for a shower and I was done by the time he came back up. I'm so impressed you hung the light fixture all on your own! You go girl! Thanks so much for stopping by my blog and leaving a sweet comment!